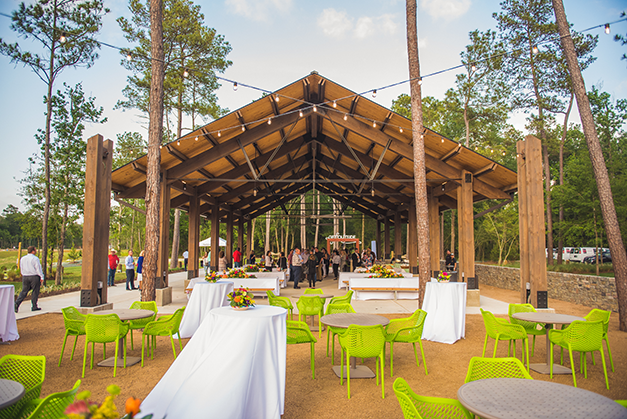 Structures worked with The Groves, a luxury master planned community outside of Houston, on the event pavilion for their new community space. The Hearth Amenity Center was completed in May 2018 to provide a central gathering place for community residents. 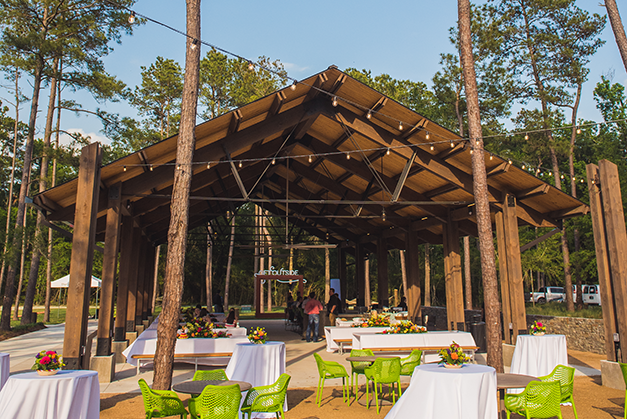 It features the event pavilion, a resort-style pool, great lawn, hammocks, festoon lighting, an outdoor fireplace, and a creek overlook. 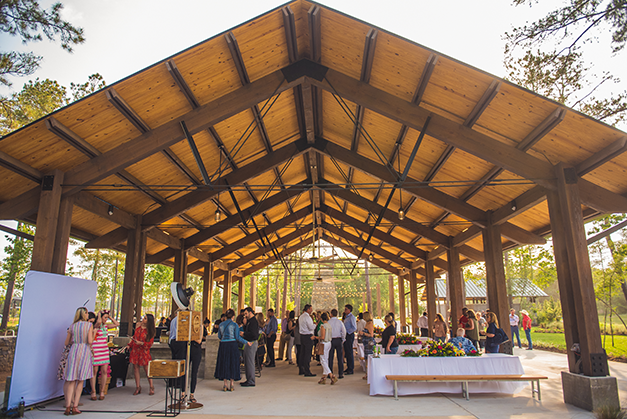 Structures worked on the 5,000 square-foot event pavilion and the 2,400 square foot bath house. The focal point of this project is the intricate and unconventional truss system supporting the pavilion roof. Structures explored a variety of truss configurations and closely coordinated with the architectural team to produce a unique and elegant solution that creates the ambience for the outdoor pavilion space. Contractor: MEP – Jordan & Skala Engineers, Civil Engineer – BGE, Inc.